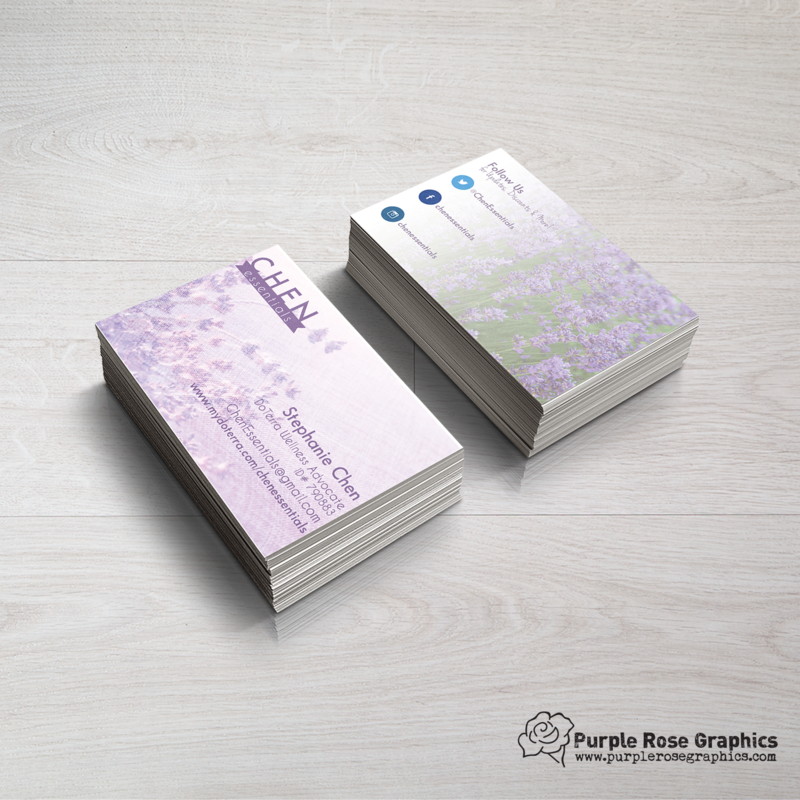 Business Card for Direct Sales Contractor. This client wanted something that had a natural feel for her direct sales business. The client and I chose a soothing palette of dark and light lavender and gray. I made her a quick word mark as a place holder for when she was ready to invest in a logo. I used a stock image that she shared with me from her organization and was available for her use. I paired this image with a texture to give the impression of coarse fabric. This is a two sided card and the back is used to market her social media channels and help her gain followers and customers!